Yet another Partition resolution passed by West Bengal Assembly! It is the final partition,excuse me! As the West Bengal part of United Bengal Assembly passed the partition of Bengal resolution culminating in the partition of India against East Bengal`s majority resolution rejecting partition,the West Bengal Assembly on Monday passed a resolution for renaming the state as 'Bangla' in Bengali and 'Bengal' in English, weeks after a proposal in this regard was put forward by Chief Minister Mamata Banerjee. Finally, Bengal is divided and East Bengal is deleted! West Bengal might not be renamed as Bengal as the geography of West Bengal does not represent Bengal at all and historically,East Bengal was known as Banga which is now Bangladesh. The Bangaj represented the negroid humanity and Banga was a little part of the negroid Dravid demography worldwide whereas West Bengal was mainly ruled from Gaura which gradually became the part of the Aryawart ruled by Aryans as soon as the demise of Buddhist Bengal with the fall of Pal Dynasty when the Sen Dynasty led by King Ballal Sen injected Brahminism in the veins of Non Aryan,dravid negroid Bengal. Those Bangaj,specifically those from Banga later East Bengal and latest Bangladesh had been discarded by the earlier West Bengal resolution of partition which triggered the infinite holocaust for the negroid dravid Non Aryan demography across the political borders. Even after partition most of the divided,degenerated Bangaj demography known as refugees have been scattered countrywide as the bleeding consequence of partition of India and they have to sacrifice everything as the price of Indian freedom for which they have been discarded from the history and geography of Bengal. Despite the partition,both part of Bengal share the same history if not the geography and the tradition of Bengali culture and identity could not be divided even after partition. 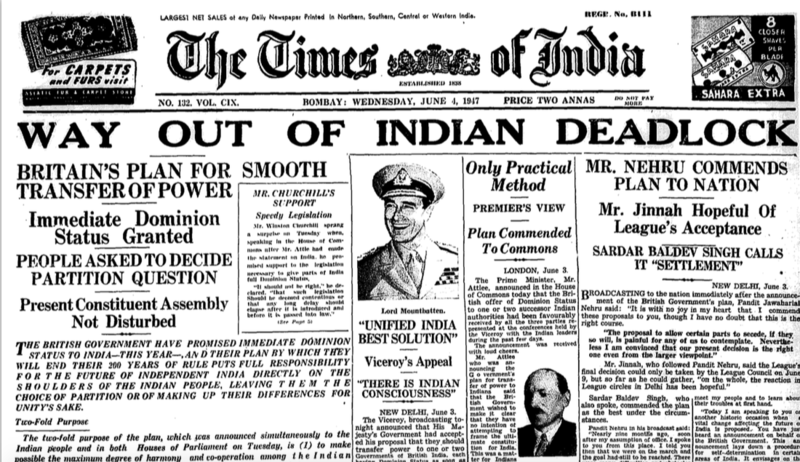 Yes,it is the final partition to execute the resolution passed in 1947.